Photo courtesy of zimbio.com. 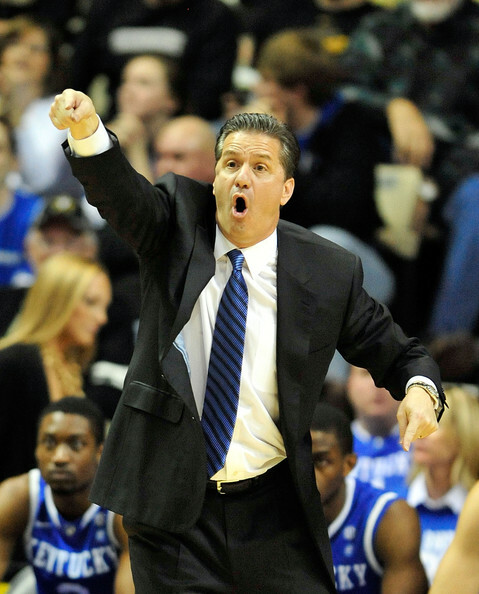 John Calipari (pictured above) once again stole the show at the NBA Draft last evening. Photo courtesy of smokingsection.uproxx.com. College football fans across the country have begged for a playoff system since before I can remember. The wish has been granted. Euro 2012 Semifinal Previews: Spain, Portugal, Germany and Italy, oh my! Photo courtesy of zimbio.com. Will Fernando Torres (pictured above) lead Spain to huge victory over a Portugal team led by the great Cristiano Ronaldo? Andrea Pirlo and company ripped the collective heart out of the English people on Sunday in the most dramatic of the quarterfinal wins, advancing via penalty kicks. As such, the Euro 2012 semifinals, slated for today and tomorrow, are now set and continental Europe’s collective fervor and excitement will surely drown the sound of the few remaining whimpers from English fans. The semifinalists are four nations with strong football pedigrees, which should not only result in more evenly contested matchups, but also a higher quality of play thought to be absent at times in this tournament from teams more than capable of performing at higher levels. (*cough* England *cough* France *cough* Netherlands *cough*). The first semifinal is the battle of the Iberian Peninsula and these two teams showcase a bevy of highly technical and gifted players. Cristiano Ronaldo, usually a player who has drifted in and out of form for the national side has been dynamite for Portugal at this tournament, particularly in the last two games, where he alone outshot the Czech Republic in the quarterfinals, netting himself the winning goal in the process, after bagging a brace against the Dutch in the final group game prior to that. In contrast, Spain has relied on offense by committee at this tournament with five different players hitting the back of the net. More impressive is that Spain’s offense didn’t slow down after opting for the atypical 4-6-0 formation in its 2-0 quarterfinal win over France. Whether Spain will again field a starting XI without a listed striker will likely not be revealed until game time, but Spain’s most gifted natural scorer, Fernando Torres, is one of the few players on the planet, if playing at the level he was accustomed to during his prime (which was not so long ago), capable of matching, or at a minimum, challenging the brilliance Ronaldo could provide for his team. That being said, Ronaldo might be the best individual talent on the field, but Spain has proven time and time again over the last four years that it is the most talented team. Players to Watch: As noted above, Ronaldo controls the fate of Portugal more than any other player on his team. As he goes, so do the Portuguese. Czech goalkeeper Petr Cech was able to weather the flurry of Ronaldo’s attacks for a little more than an hour to keep the Czech Republic alive against Portugal in the quarterfinals, so it will be incumbent upon Iker Casillas, the Spanish captain and goalkeeper, to prove his worth when actually facing more than two shots, like in Spain’s last game, and to allow his team to work its magic in front of him. Photo courtesy of zimbio.com. It is safe to say that pitching has dominated the first half of the 2012 season. 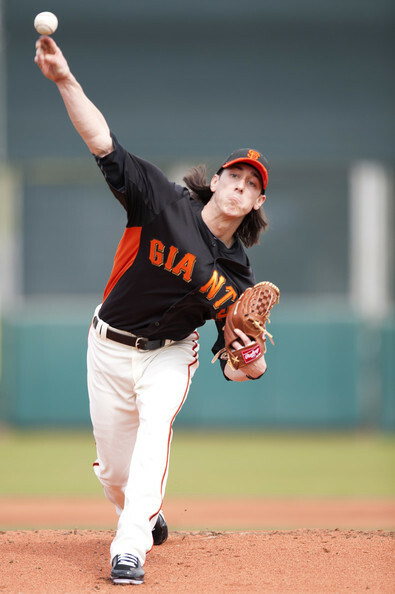 Ironically, two-time Cy Young Award winner Tim Lincecum (pictured above) has struggled. 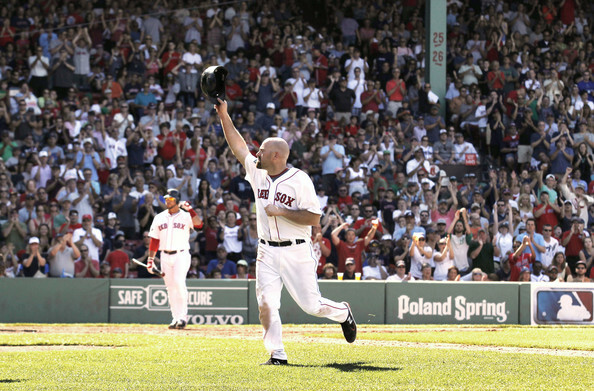 Will he regain his old form Wednesday afternoon against the first place Dodgers? What a week it was in sports. The King finally won his ring. England’s hearts were ripped out once again in the form of penalty kicks. Plus, the combination of the CWS and Interleague Play gave us all the privilege of watching some outstanding baseball. Last week was great, but this week will be fun it its own right. Here are the events to keep an eye on. 5. See you later Sonoma. Now it is time to visit the Kentucky Speedway in Sparta, Kentucky. This event could not even dream of being more poorly planned than it was last year. I guess that isn’t saying much after the debacle that occurred last July. Tune in to TNT at 7:30PM on Saturday or make your way on down to the track. 4. The All-Star Game is just 15 days away. Is it me, or has this season been moving at warp speed? It feels like just yesterday that the season got underway with the ridiculous opening two game in Japan between the Mariners and Athletics. We are already near the halfway point of 2012. It is safe to say that pitchers have dominated. 19.6% of plate appearances have resulted in strikeouts this season, which is a record pace. Plus, there has been an average of 14.9 strikeouts per game. And we are all already aware of the two perfect games. Pitching is the name of the game. Just ask teams like Philadelphia and Boston that were supposed to be prime contenders. My matchup of the week occurs on the west coast. Los Angeles Dodgers at San Francisco Giants: It is no secret who the top two teams in the NL West are these days. They also happen to possess two of the elite pitching staffs in the National League. Coincidence? I think not. The Dodgers got off to a red-hot start and have never really slowed up despite many doubters. After a slow start, the Giants really got it going towards the end of May and are now right in the thick of things.